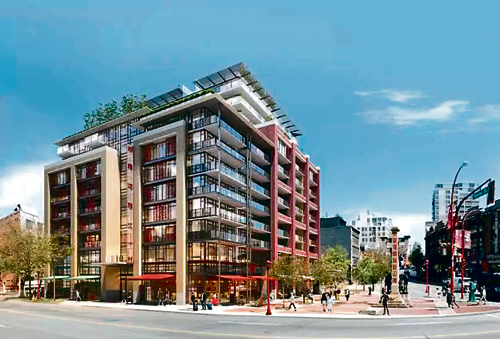 Beedie Living has revised its rezoning application for the third time and submitted its application to the City of Vancouver on April, 16, 2016. The Chinatown Concern Group remains opposed to this rezoning application for a variety of reasons (see template letter below). The first major reason is that, for a location that is considered by some as the “heart of Chinatown,” the development simply is not good enough. This site can and must be developed in a much better way for the community. We want to see 100% low-income housing for seniors at this site as well as at least an entire floor of community space for social activities, to foster intergenerational relationships etc. The second major reason is that such a project, with majority market housing, will only contribute to the gentrification crisis in Chinatown, which is increasing development pressure in the area, land values, as well as rents. As a result, most visibly, we are seeing the displacement of low-income and working-class serving businesses in Chinatown, leaving elderly residents fewer and fewer choices for food and other daily necessities. Please let us know if you have any questions about this campaign. For more information about 105 Keefer St., especially news articles on the application, see here. We will attempt to update this page regularly as per our capacity but for more regularly updates, please “Like” and check our Facebook Page or subscribe to our email list.